With a resume that includes both 12 Years A Slave and Trapped In The Closet, Michael K. Williams has proven himself to be quite versatile. That—plus the fact that his casting would give The A.V. Club ample opportunities to quote The Wire, and quoting The Wire is fun—means he would probably be great in a Marvel movie. Williams apparently agrees, to the point that he’s starting his own casting rumors. “No, not yet. And I’m saying ‘yet’ with a lot of emphasis. But hopefully I’m looking forward to being a part of the franchise,” Williams said when Cinema Blend asked about his superhero prospects. He went on to say that his hero of choice would be Black Panther—not out of childhood nostalgia but because “I would definitely bring that quintessential New York City edge. You know, just a little bit of that grit.” Also, he’s black and stuff. 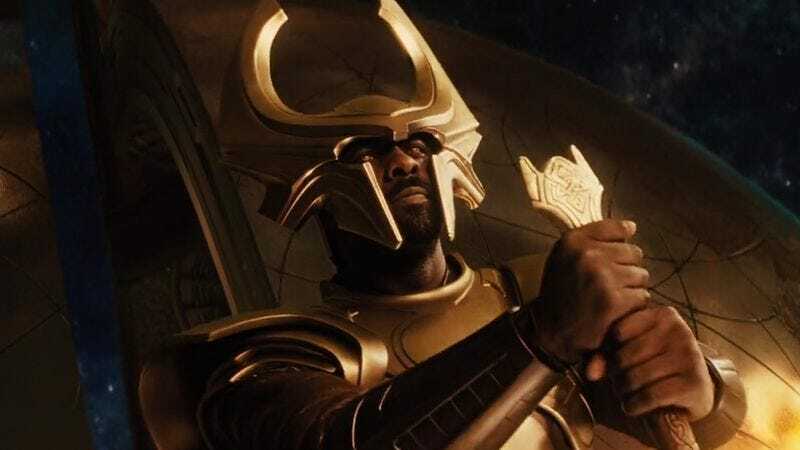 Williams’ former The Wire co-star Idris Elba, on the other hand, has already appeared in two Marvel movies, and isn’t eager to star in another. Although Elba’s name has long been attached to rumors concerning a potential Luke Cage movie—which Marvel is now doing as a Netflix series—Elba denies that his role in the project went beyond a couple of meetings. “Uh, I think there’s an actor already signed on for it, fortunately or unfortunately,” Elba said when asked about it in a recent Reddit AMA. On the other hand, he also said, “I would love to play sort of a … human being that actually has superhero powers, like Hancock and like Luke Cage,” demonstrating his ability to show some give and take on both sides.